I ride the metro everyday, and it’s great, but sometimes buses come early, and sometimes they come late. Because of this it can sometimes be stressful and leave you wondering if you missed an early bus. 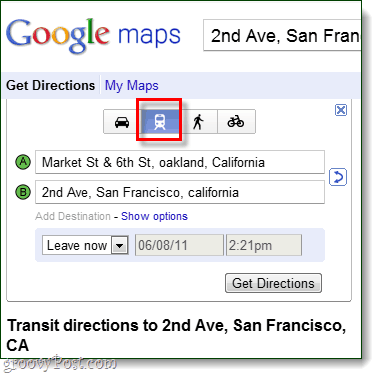 This morning Google began rolling out a big feature for public transportation mapping. Essentially what you can now do is track where a bus is using Google Maps. Arrival and departure times are updated on the site with “live” status, so you’ll see everything in real-time. But, as of now it’s only available in 6 cities worldwide. Live transit data is available in Boston, Portland (Oregon), San Diego, San Francisco, Madrid (Spain) and Turin (Italy). 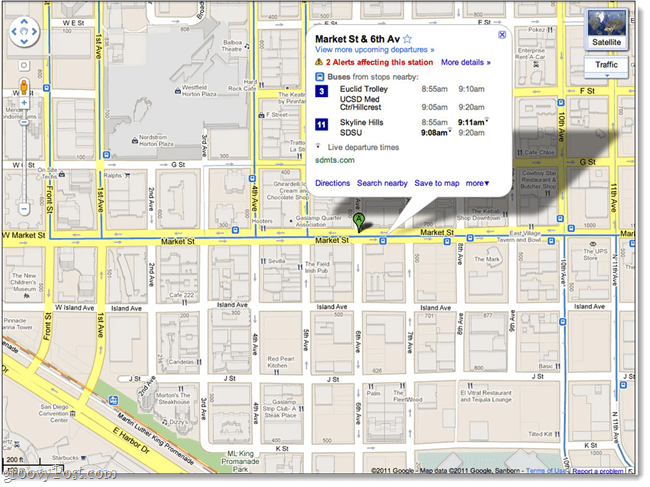 On the desktop version of Google maps you’ll get the most out of the transit maps. The bus routes, scheduled stops, and actual stops will be posted in a single call-out. 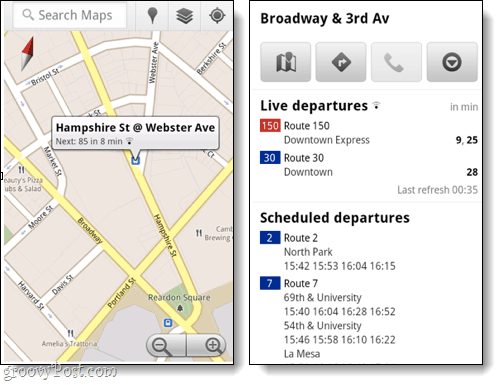 The native Android 1.6+ version, or the mobile browser version also feature similar route transit data, but they don’t quite have the same features as the full desktop one. If you live in one of the cities mentioned above that the transit updates are available in, all you have to do is go to Google Maps on your desktop or mobile device. Once there, punch in your start point and destination, then click the Transit button.